Who doesn't love getting things for free? Nobody. That's who. So, everyone should be excited, because Shades of Chaos Games is giving everyone something for free. Yes, it's the latest update for Outlands (the 8th one, to be particular). 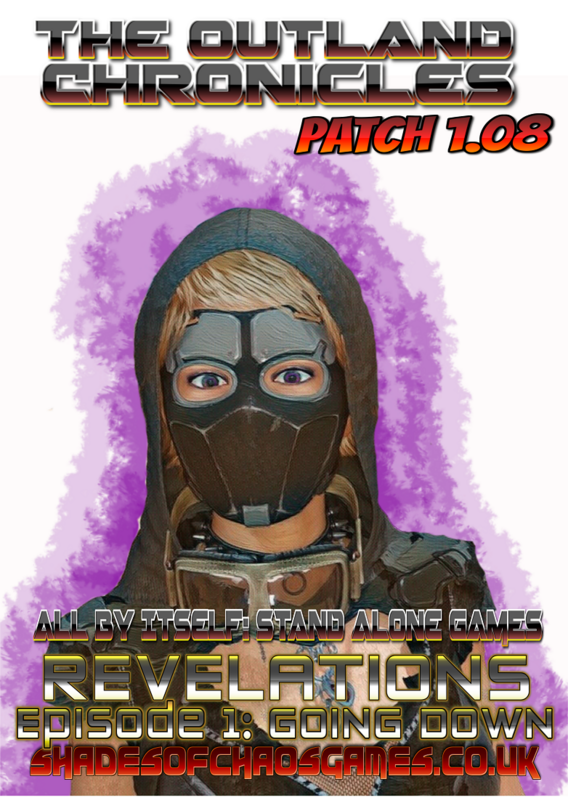 There's new modes of play, new special characters, a mini-campaign, and much more. You can download your copy now. Games occasionally need a bit of tweaking. Try as the developers might, something might not work as intended, or things might just feel stale, or they come up with new ideas for better mechanics that don't work within the current rules. As such, they revise things and we get a new edition. That's what we've got here with Outlands from Shades of Chaos. The space sci-fi spaghetti western-style game has a new edition you can pick up now. Who doesn't like to get free stuff? I know I do. I mean, it's free. What's there to loose? 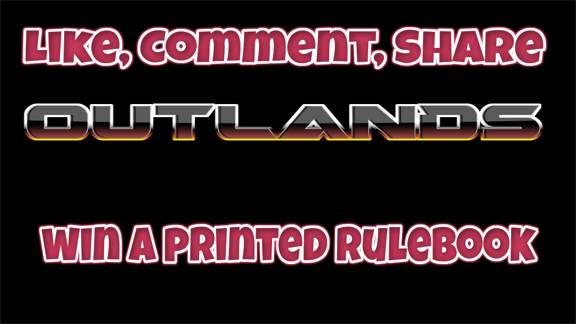 The folks at Shades of Chaos Games are letting you possibly win a copy of their rulebook for Outlands for doing nothing more than liking, commenting, and sharing their contest post over on Facebook.